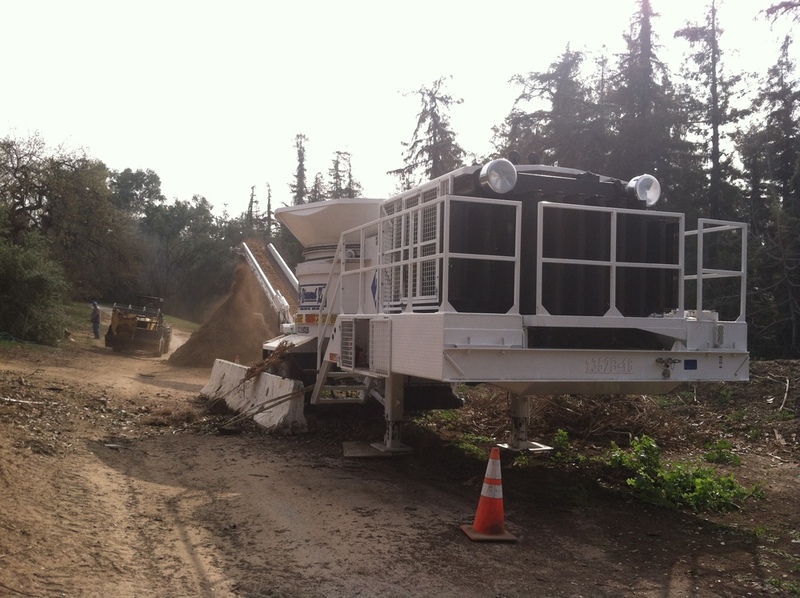 Diamond Z tub grinders are designed for large diameter material high-volume land-clearing and wood recycling operations. Tub grinders are typically used mainly for primary grinding of raw materials and are not capable of efficiently achieving finished product specs from many forms of wood fiber and other raw materials. Tub grinders typically perform better with larger diameter material such as stump and root balls and brushier material. The large tub infeed opening makes it more efficient to get larger and bulkier items down into the hammermill and are easier to load with large bucket loaders. The 1463B is the standard by which all tub grinders are measured. No other grinder can match its power, (up to 1,650 horsepower) production, or its versatility. It grinds wood waste, green waste, and even tires at unparalleled rates. Since the first one produced in 1988, the 1463B has continued to out-perform the competition, resulting in the industry's highest resale value. With horsepower ranging from 1,600 to 2,000 h.p. and 120 Lb. hammers, the Diamond Z 1463BT is truly in a class of its own. 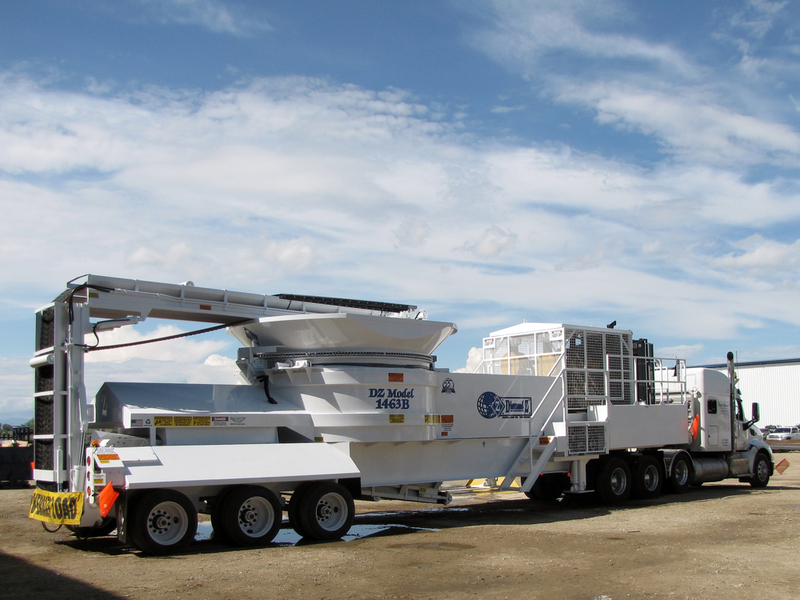 No other tub grinder in the world can duplicate this massive machine's ability to reduce scrap tires, including O.T.R. up to 10' in diameter, stumps and wood waste, green waste, C&D and railroad ties at unparalleled rates. Built to be completely portable, the model 1463BT is the industry leader in production, strength and durability. Diamond Z introduces the DZT 8000. The DZT 8000’s short, compact and durable design maximizes mobility and stability. Its heavy-built frame design and aggressive 60-inch hammermill allow for increased production capacities of up to 100 tons per hour. Its aggressive hammermill and improved deflector and containment shields greatly minimize any possibility for throwing debris. The DZT 8000TKT Track-Mounted tub grinder allows you to operate just about anywhere that a portable unit can not. The DZT 8000TKT combines Diamond Z’s user-friendly engineering philosophies with innovative features that improve on-site mobility, increased throughout and enhanced overall appearance. The DZT 8000TKT incorporates Diamond Z’s signature attention to safety and ease of use and maintenance. The 1460B is a workhorse that out-produces other grinders in its class. It features a 14 foot tub, and up to 1,000 horsepower applied to a 60 inch hammermill. Being the most versatile grinder in the market, the 1460B makes short work of C&D material, railroad ties, green waste, stumps, passenger tires, and many other materials. The 1460BL is beyond the competition's reach. 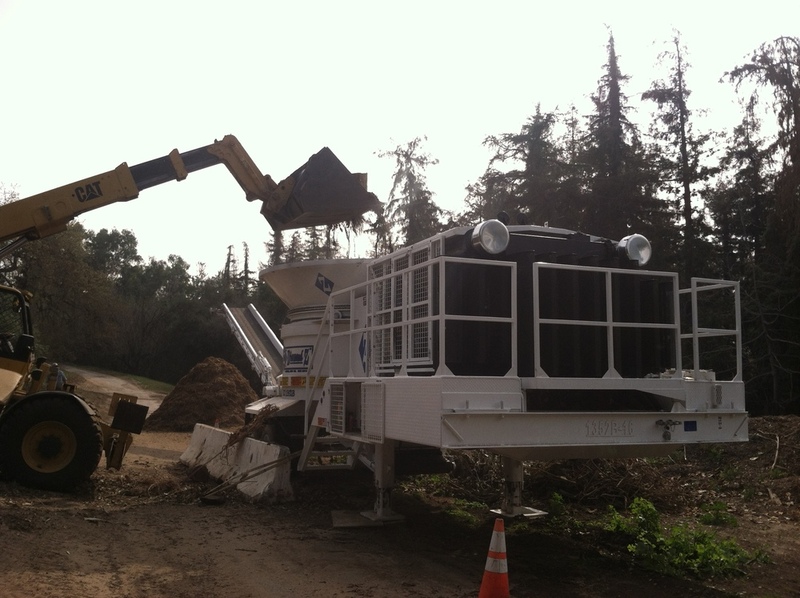 The 1460BL is a self-contained, self-loading tub grinder. 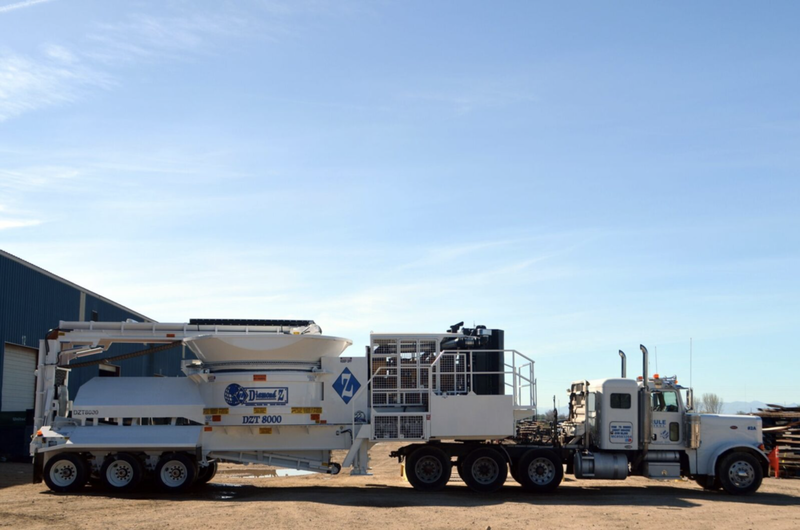 It is equipped with a DZL 1000 loader featuring 360º continuous cab and grapple rotation. The standard radial stacking Phase II conveyor swings side to side during operation, allowing more versatility in the placement of the end product. A state of the art radio remote system controls the main functions of the grinder and the stack out conveyor. Truly a one-operator job! Less Material Handling, Lower Operating Costs. The 1460B Track-Mounted tub grinder allows you to operate just about anywhere that a portable unit can not. With up to 1000 hp and production capacities up to 95 tons per hour, the 1460B-TK is the most versatile track grinder of choice. With large-scale production found in 1460's, the Phase I and II Conveyors deep 42" wide conveyors easily remain full and stack material up to 15 feet in high. The 1352BL offers the perfect compliment of power, portability, and versatility for any operation. The self-powered loader features 360 degree continuous cab and grapple rotation from its own 110 hp engine. With an impressive 970 total horsepower on this grinder, it positions in a class of its own. 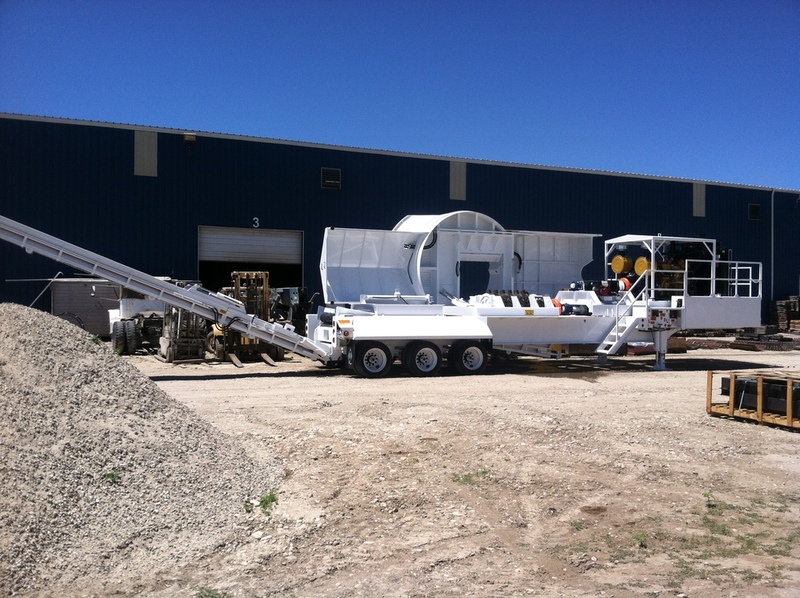 The 1352BL is also equipped with a standard radial stacking Phase II conveyor which allows the operator to adjust the conveyor side-to-side during operation. 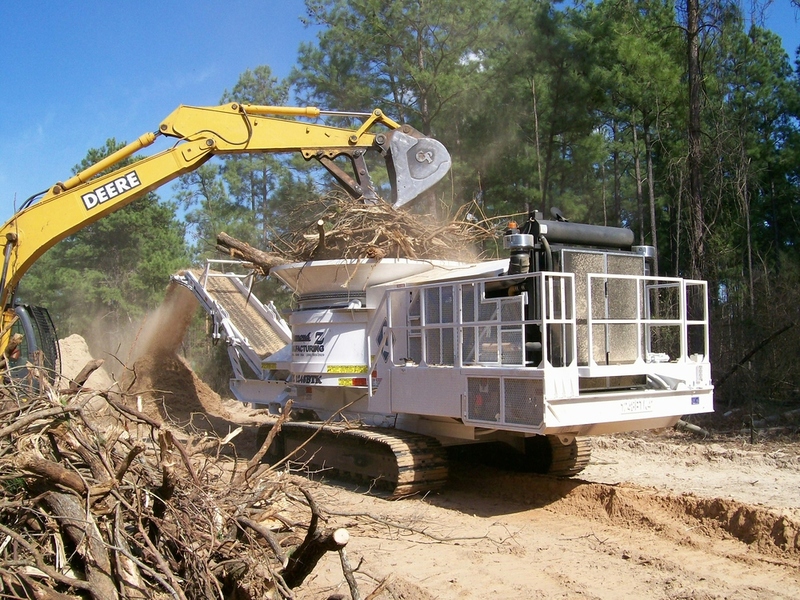 The compact, mobile 1352B with powerful 875 hp engine, aggressively process up to 85 tons ground material per hour. This durable model is the simple choice for your difficult job. The DZ 1248BTK Series track-mounted tub grinder allows you to operate just about anywhere a portable grinder cannot. With up to 700 horsepower, production capacities up to 60 tons per hour, and innovative, operator-friendly design, the 1248BTK is the simple tub tracked choice for your difficult job. With a 12' diameter tub and 48" hammermill, the 1248B may seem like a mid-sized tub grinder. However, unlike other grinders in it class the 1248B easily processes stumps, logs, C&D materials, green waste, and much more at high production rates. With rates of up to 60 tons per hour, this grinder is capable of consistently out-producing larger grinders; offering the best value in both production and pricing for any operation. STANDARD FEATURES: Radio remote control, tool box, engine cover, and super-screw belt lacing. All track mounted machines come with 24” (600mm) wide pads (20” and 32” available on most models), 1248 and 1136 fluid coupling models include auxiliary hyd. pump. Weights vary depending on options. Widths based on 600 mm tracks or transporter width. Diamond Z reserves the right to improve our products and make changes without notice. Actual products may vary. The 1136B is compact, aggressive, and easily transported. It applies more than 30 horsepower to each hammer, making it capable of grinding up to 315 yards of material per hour. The 1136B is an excellent choice for small scale grinding applications. Like all of our tub grinders, this machine is "Built Diamond Tough!" and is the simple choice for your difficult jobs.